Since 2001, Cavalier Window Cleaning & Power Washing has been the cleaning expert in the area, helping thousands of homeowners. 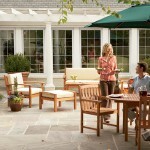 Our team of specialists has years of industry and customer service experience. You can come to us for residential and commercial window cleaning services that will be completed by licensed professionals. Keeping the windows clean is a task that many of us hate to do. There are hard to reach places where smudges and streaks occur, and we risk scratching our windows using foreign materials to wipe them down. 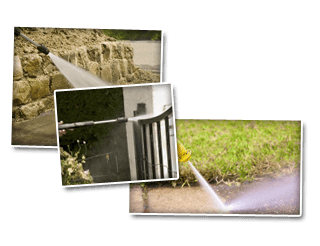 In order to protect your widows and keep them maintained, you can trust that Cavalier Window Cleaning & Power Washing is the reliable and dedicated window washing contractor to do the job. We’re always available to take on your residential or commercial needs. During the spring and summer months we depend on our windows and doors to let in fresh air and help get the stale air out of the home. But after months of getting pounded by dirt and dust, the screens in our windows and doors need to be cleaned. Call for our screen & window sill cleaning. You need a professional window cleaning service in order to keep you safe. Bigger windows have hard-to-get-to areas that need cleaned. We have the equipment and manpower to do it whereas leaning on the last rung of a ladder could land you in the ER. Contact Cavalier Window Cleaning & Power Washing for storm window|divided lights| casement cleaning. Besides being a danger to your windows, household cleaning sprays are harmful to your health. Manufacturers put harmful toxins in them that help dissolve dirt and grime but do not protect your health. They are considered to be poisons and should never be ingested or inhaled. This is why our hand cleaned window services trumps all window sprays in Charlottesville. Due to the high amount of residue left on windows in most construction window cleaning situations, we do not use strip washers because the debris can easily get caught up in the machinery and damage the glass. 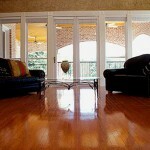 We’re your complete construction cleaning experts. If you’re in need of window cleaning service, you can trust that the professionals at Cavalier Window Cleaning & Power Washing are the experts who can always get the job done right and on time. If you are looking for Window Cleaning Services then please call 434-823-1737 or 540-910-1434 or complete our online request form.